Live in the heart of Downtown Galveston in a beautiful Mitchell Historic Properties loft. Join the exclusive retailers and restaurateurs in one of Texas’ most distinctive historic downtown shopping districts. Downtown Galveston is flourishing year round with festivals, free concerts, movies and outdoor markets amidst elegant Victorian architecture. Mitchell Historic Properties is a privately owned and operated company based on Galveston Island, Texas and part of the Mitchell Family Corporation based in The Woodlands, Texas. Mitchell Historic Properties oversees historic properties owned by the George and Cynthia Mitchell family, some of Galveston’s best commercial real estate. These properties include three hotels, fourteen historical buildings, two parks, a parking garage and the Pier 21 complex all in the Strand National Historic Landmark District. The Mitchells are committed to the overall success and revitalization of The Strand District, Pier 21 and Galveston Island. Known for its historic architecture and sparkling Gulf waters, Galveston Island is a fascinating place. 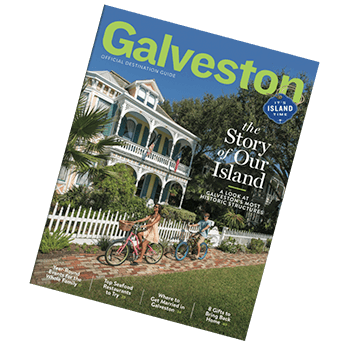 Make your next visit easy with The Galveston Island Visitor's Guide! Click Here to get the Guide! MHP owns three of Galveston’s top hotels, including Hotel Galvez & Spa, The Tremont House and Harbor House Hotel and Marina at Pier 21. From a year-round haunted house to a jet boat ride and dolphin tours, Galveston’s downtown offers a wide range of attractions and activities. No matter the occasion, there is a restaurant to suit your needs. Dine at a 4 star restaurant or grab a quick burger with your family. Historic Downtown Galveston encompasses 36 blocks with more than 100 retailers, restaurants and art galleries. Galveston is a historic city with new economic opportunities for its businesses and residents. From small art events and exhibits to full-blown festivals, Galveston offers entertainment year-round.